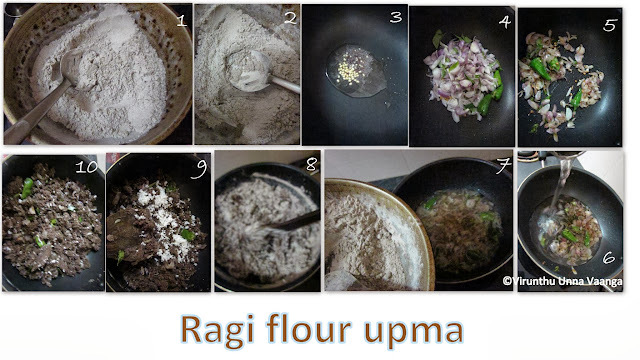 Dry roast the ragi flour in a pan till the aroma comes and cools it. 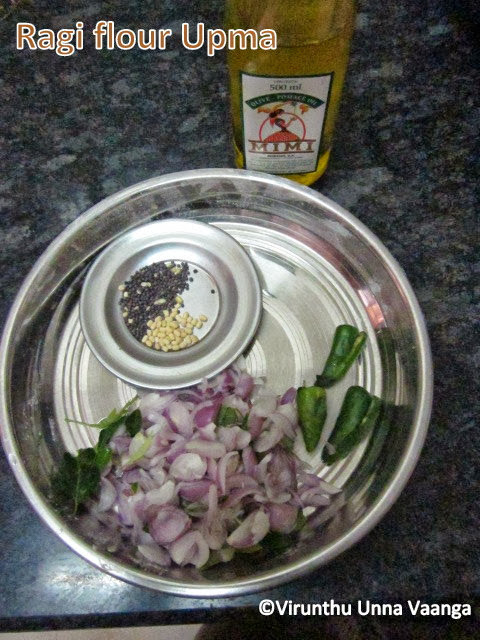 Heat oil in a pan, add mustard and urad dal wait till it splutters. Add shallots, green chillies and curry leaves sauté it with little salt till shallots turns translucent. Now add 2 Cups of water and add enough salt and cover with lid. When its boiling add the ragi flour and stir continuously without leaving hand on low flame, till the flour gets cooked, it will absorbs all the water. Check the flour is cooked by pressing between the index and thumb finger, it should not be sticky. Switch off the flame and add grated coconut and stir it once. 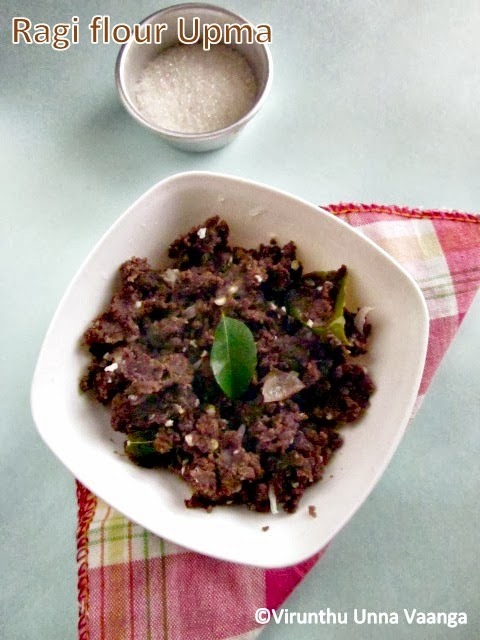 You can use dry red chillies instead of green chillies. Add onions instead of shallots, but shallots gives unique taste. 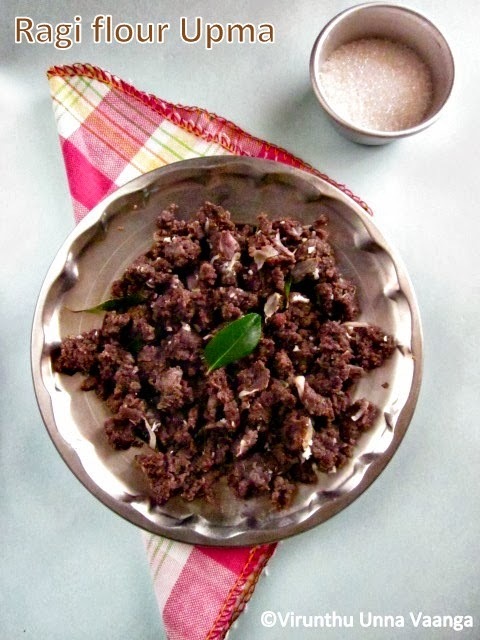 Dry roast of ragi flour is important and be careful not to burn it. 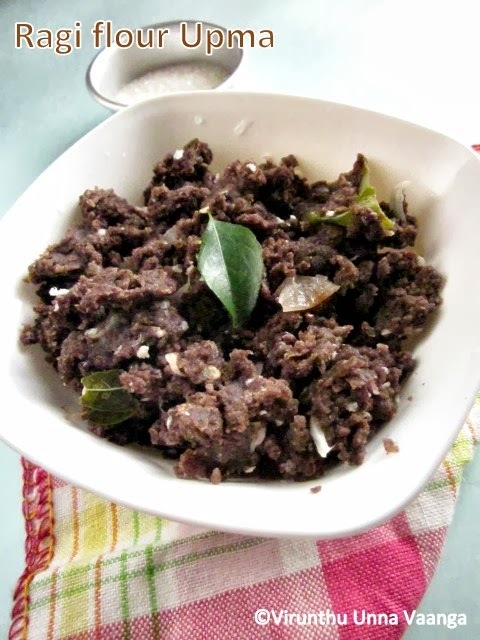 HEALTHY, UNIQUE, DELICIOUS AND SIMPLE RAGI FLOUR UPMA!!! Healthy and delicious breakfast.. This is something new to me.. Would try it sometime soon. Definitely a nutritious upma, healthy and delicious. Upma sounds delicious and healthy. great recipe. But a whole wheat flour is a must for such recipe.